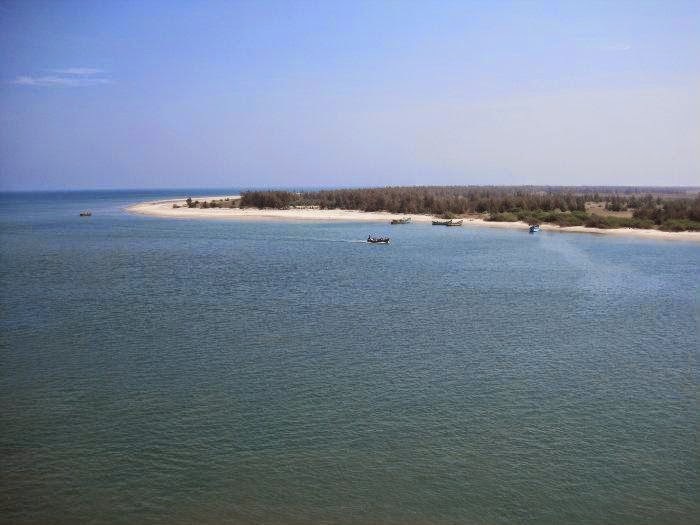 Hope Island off the Kakinada coast (Andhra Pradesh) is located in the Bay of Bengal, a short distance out. Hope Island is so named for providing a natural haven to sailors against the forces of wind and tide against the weary traveler. In doing so, it has made Kakinada one of the most affluent natural ports in the region. Visitors to Hope Island will be presented with excellent views of the bay and the opportunity to explore the many protected species of plants and animals which grow and flourish there. Perched on the Nallamala Hills which are wrapped up by thick deciduous forests, Srisailam or Shrishailam is an important pilgrimage center in Kurnool District of Andhra Pradesh. Located on the banks of River Krishna, Srisailam was mentioned in Skanda Purana and Mahabharata as “Sri Parvata”. Srisailam which is the holy abode of Sri Mallikarjuna Swamy”, has four sacred gateways in all four key directions. The four gateways are likely “Tripuranthakam”, “Siddhavatam”, “Alampur”, and “Umamaheshwaram”. Early in 102 AD till 130 AD, Satavahanas Dynasty ruled Srisailam after which the place was ruled by Pallavas, Reddy Kings, Vishnukundinas, Kakatiya’s and Vijayanagar Empires. 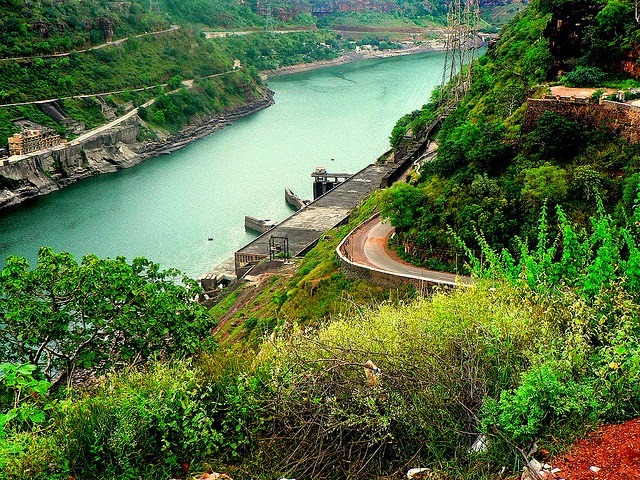 Besides being a holy place, Srisailam has scenic landscapes and gushing river Krishna flowing through it. The natures work in Srisailam will definitely entices us. You can opt for Haritha Hotels, Punnami Srisailam and Velema Choultry which offers pleasant stay in Srisailam. Government and Srisailam Devasthanam run accommodations’ are cheaper and tidy places to stay in. Only vegetarian restaurants are available in Srisailam it is a pilgrimage center. Smoking and Drinking are prohibited. You can visit the Chenchu Lakshmi Tribal Museum where you can get pure tribal honey. The much famed port city in Andhra Pradesh State of India, bags the honor of being the second largest city of Andhra Pradesh State as well as the third largest city along the East Coast. 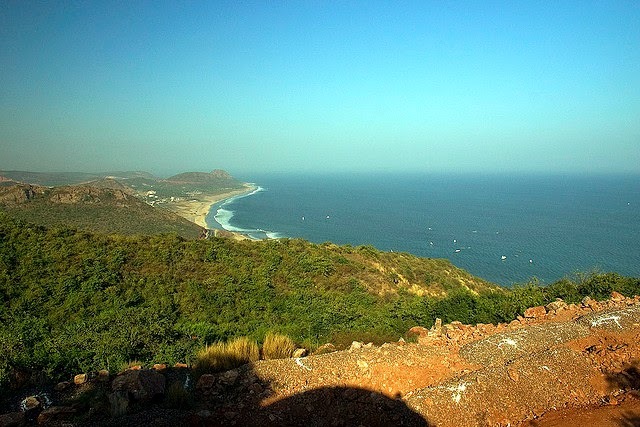 Visakhapatnam is the only natural harbor on the east coast. Most of heavy industries of Andhra State are housed here. Also, the state’s steel plant is located here. Being named after “God of Valor” (Visakha), the city is sandwiched between Eastern Ghats and Bay of Bengal. Since the city has panoramic beaches, scenic landscapes, laterites (soil rich in iron and magnesium) hilly regions, etc. it is also sometimes mentioned as “Goa of East Coast”. Indian Navy has its naval command center for eastern regions in Visakhapatnam. 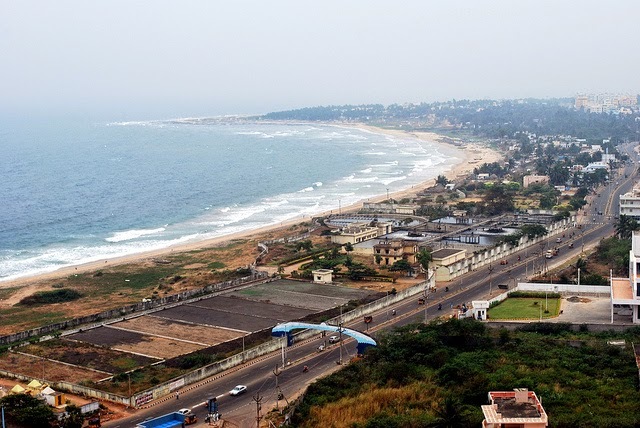 The history of Visakhapatnam dates back to 5th century BC. During 5th century BC, the city was under the control of Kalinga Dynasty. Later it was captured by King Asoka, the Great. During his rule, Buddhism was spread across the region and tourists can see many relics, ruins and statues of Buddhism in Vizag. As per Hindu mythology, the city was also mentioned in two great epics of India namely Ramayana and Mahabharata. Ruled by almost every kingdom, Visakhapatnam came under the rules of French and British as well. Under British rule, the current districts namely Srikakulam, Vizianagaram, and Visakhapatnam prevailed as one large district then. There are varieties of hotels in Visakhapatnam ranging from Novotel, Taj Groups etc. to budget hotels. Thus, tourists can have pleasant stay within their budget. The cuisine of Visakhapatnam is the blend of Southern and Northern Cuisine. However, tourists should taste some of the local delicacies like Avakaya Pickle, Gongoora green chutney, Murku, Booralu, Appadams, Anabshahi and Pulihara. The Eatery restaurant offers some authentic food along with great starters. The Square Restaurant is where the tourist can enjoy the food with an excellent view. Tourists who want to taste some hot kebabs then opt for Zaffran Restaurant. Visakhapatnam offers some delicate artifacts made up of sea shells and beautifully designed jewelry. There are many shopping malls and complexes in Visakhapatnam. One of the sensational districts in Andhra Pradesh State. Warangal, Kazipet and Hanamakota constitute the Warangal District. The airport in Mamnoor village on outskirts of Warangal was once served as biggest airport during 1947 serving the Nizam’s of Hyderabad. Warangal is the center for the major political movement demanding separate Telangana from Andhra Pradesh. Famous freedom fighter Kaloji Narayana Rao was born in Warangal. 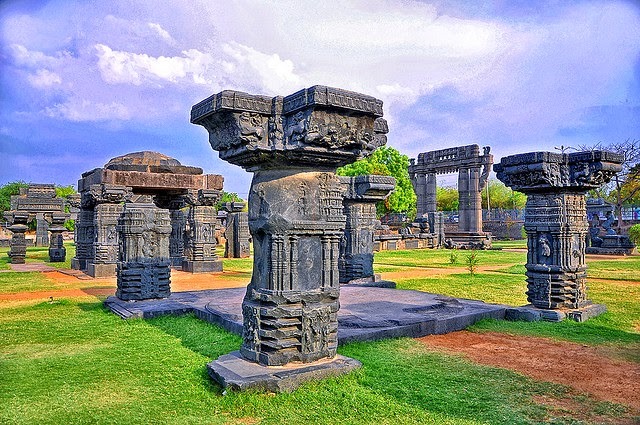 Kakatiya Dynasty played vital role in developing the Warangal as the city served as headquarters for Kakatiya Dynasty in the time period raging from 12th to 14th century. The city has numerous monuments, forts, and temples etc which were established during the Kakatiya dynasty. The famous traveler Marco Polo described about the cultural and administrative skills of Kakatiya’s in his writings. 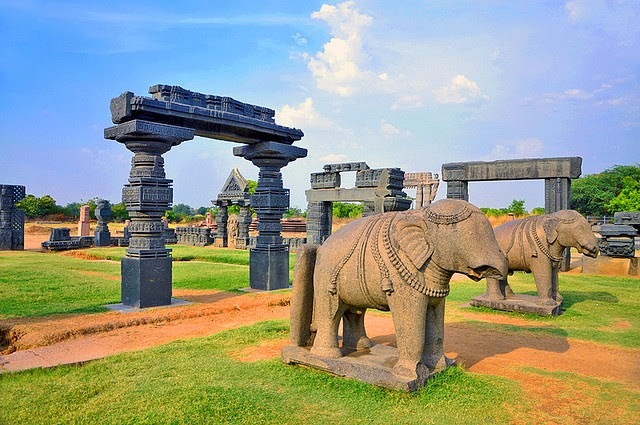 During 16th century, Warangal was ruled by Golconda Sultanate. It was also under Mughal Empire for a while. Currently Warangal is the declared as “Red Corridor” as there are sumptuous Naxalite Activities. “Sammakka Saralamma Jatara” an important festival is celebrated in Medaram, on the banks of stream Jampana Vagu, which is 90 km away from Warangal. This festival is second largest festival in Asia next to “Kumbh Mela”. This festival is the accretion of tribal communities in order to honor the intrepid fight which took place between mother-daughter duo (Sammakka and Saralamma) and a Kakatiya King demanding justice. Nearly 6 million people take part in this festival. Hotels: Ashoka Hotel, Hotel Landmark, Hotel Suprabha, Lahospin Hotel provides pleasant accomodation to tourists. Restaurants: There are many restaurants in Warangal starting from roadside Dhabas till posh restaurants. Cuisine would be typical Andhra Food with more spice including Vegetarian or Non Vegetarian foods. Jalebis available in roadside stalls are mouthwatering. Shopping: Scroll Paintings, Brass wares are major attractions for a buyer as far as shopping is concern. Lepakshi Emporium, Subedar, DCWRA Bazaar and Hanumkonda offers wide ranges of souvenirs to be purchased. Hand worked Durries can be purchased from Kothawada. For your budget packages within India, you can contact us.